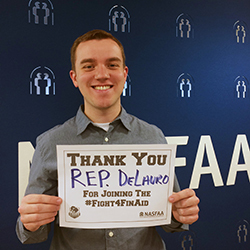 Congress this spring passed a final spending bill for fiscal year 2018 — award year 2018-19 — that included several unexpected victories for student aid programs. The bill provided an overall increase of $3.9 billion for the Department of Education (ED). It increased the maximum Pell Grant award by $175, provided a $107 million boost for the Federal Supplemental Educational Opportunity Grant (FSEOG) program, and a $140 million increase for the Federal Work-Study (FWS) program. 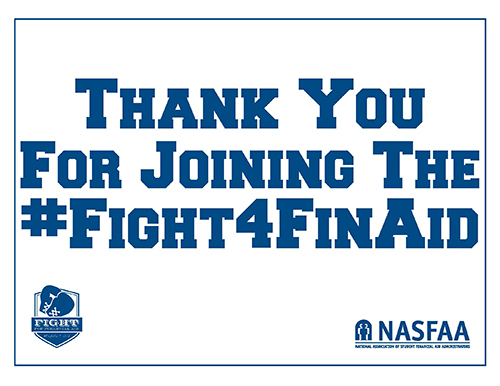 Before gearing up to advocate for continued increases in fiscal year 2019, join NASFAA in taking a moment to thank Congress for their support, and encourage your representatives to continue to participate in the "Fight for Financial Aid." 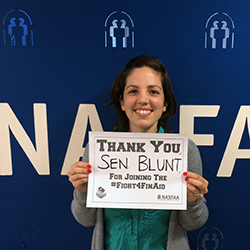 If your Representative or Senator voted for the bill, be sure to thank them personally, and reach out on social media. 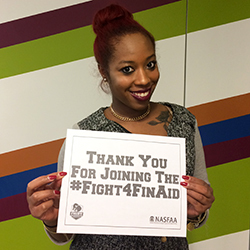 Don't forget to use #Fight4FinAid on Facebook & Twitter!